If you’re planning a ladies’ bachelorette vacation to beautiful Los Cabos, Mexico, then you must consider a relaxing spa party as part of your trip! Our luxury mobile spa brings the best in massage, facial and mani/pedi services directly to your resort suite or private villa. Kick off your vacation with a refreshing ladies’ mani/pedi party or end your stay with a relaxing massage to recover from all the fun in the sun you’re sure to have! Either way, Suzanne Morel Face and Body Care has the luxury mobile spa services you and your friends deserve as you pamper yourselves on your Cabo bachelorette vacation. 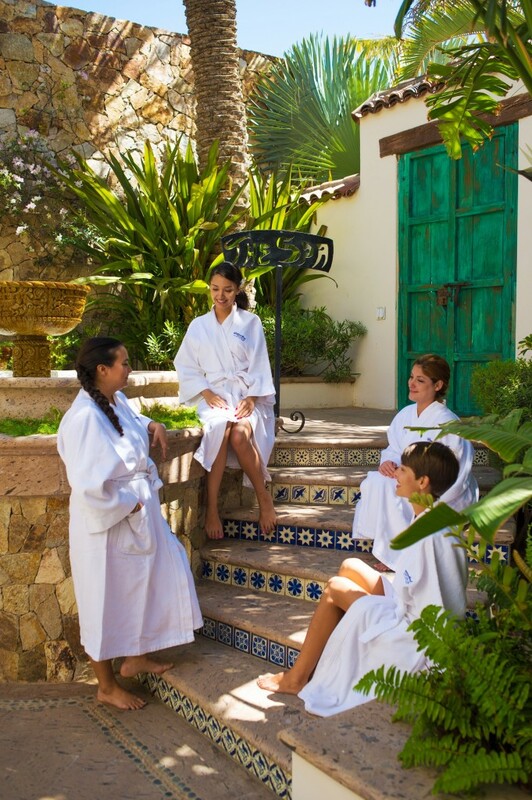 A spa party is a great way to bond and relax with your bridal party before your wedding day—so call us today to schedule your Cabo bachelorette spa party in the privacy of your resort or villa! Check out our full menu of spa party packages and choose the mobile spa services that fit your personality and the occasion! This entry was posted in Spa Services and tagged Cabo bachelorette party, Cabo best mobile spa, Cabo facial, Cabo ladies party, Cabo ladies vacation, Cabo manicure, Cabo massage, Cabo pedicure, Cabo private villa, Cabo private villa massage, Cabo relaxing vacation, Cabo spa on location, Cabo vacation, Cabo women retreat, Los Cabos Mexico, luxury spa Cabo, Mexico bachelorette party, Suzanne Morel Face and Body Care.